My record at finishing craft projects is pretty dire, in fact nearly as bad as my blog posting! So, without further ado, I present my finished bike dress guards – ta da! 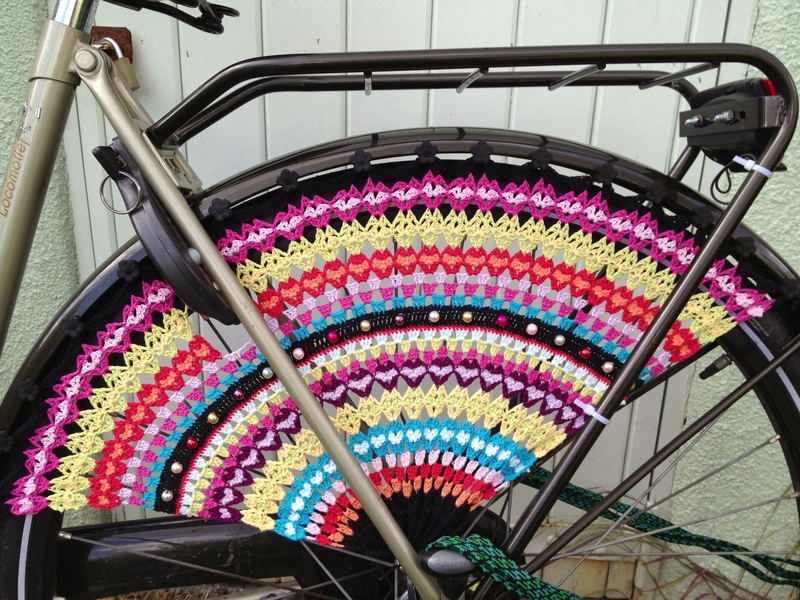 Last year when I bought my second hand Dutch bike, I always had in mind that I would like to make some crocheted dress guards for it. I had seen the lovely ones produced by Simeli, and fancied having a go myself. 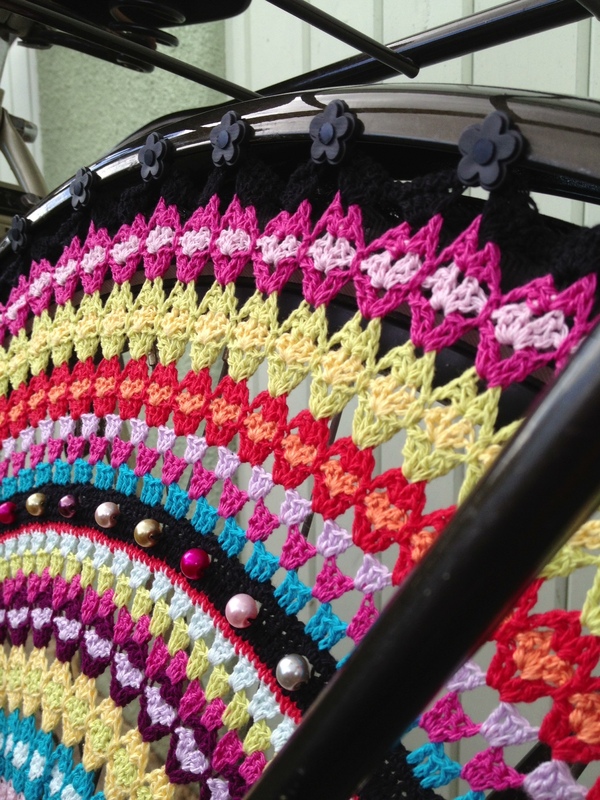 I noticed that she wanted someone to translate her Dutch pattern into English, and as I write crochet patterns for a living, I wondered whether she would agree to give me one of her kits and pattern in return for the translation. She agreed, and with a little (er, no, a lot) of help from Google translate, I managed it! I am telling a little lie here, because I have only finished one of them, not both. The other one is very nearly finished, I promise. I had to try getting one of them on my bike first, and I’m really pleased with the result. I think I might need a slightly longer cable tie for the other because it’s going to be harder to anchor it, but hopefully before too long both will be there in all their glory. You didn’t spot that there was only one in the pics did you? No. I was far too busy going oooo ahhhhh.